National governments and car manufacturers are being warned that they must better support Europe’s ultra-low emission vehicle market, ahead of the European Parliament vote on CO2 targets which takes place on Wednesday. Wider support is needed for the transition to electric vehicles, campaigners and industry bodies have warned. Manufacturers are working towards 95g/km average CO2 emissions for new cars and 147g/km for vans by 2021, with ‘super credits’ for selling low-emission vehicles and financial penalties for not complying. This has inadvertently resulted in confusing transition to the more stringent Worldwide harmonised Light vehicles Test Procedure (WLTP) economy test, leading to unexpected tax rises for fleets. On Wednesday, the European Parliament will vote on targets beyond 2021. Proposals include a 20% reduction in average CO2 emissions for cars and vans by 2025, compared to 2021’s target – or 76g/km and 118g/km respectively. By 2030, the aim is for a 45% cut – 52g/km for cars, 82g/km for vans. Mandatory shares of ultra-low emission vehicles, and a process for on-road testing of CO2 output, are also included. Support for those targets varies between Member States, but the Department for Transport has said it will introduce regulations which are “at least as ambitious” as the EU’s after Brexit. The European Automobile Manufacturers’ Association ACEA has warned the Commission not to set “abrupt” targets for the move to zero-emission vehicles. It said national governments must introduce better charging infrastructure and incentives to help consumers to make the switch, adding that it over-aggressive targets could disrupt manufacturing in Member States where building cars and vans is a significant share of their industrial output. However, Greg Archer, clean vehicles director of Transport and Environment, said manufacturers need to take more action too. 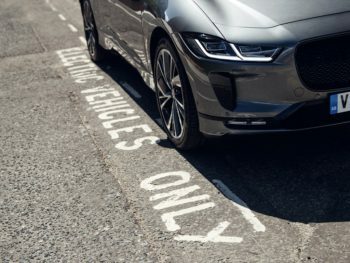 Highlighting that 62% of those studied in a recent pan-European Ipsos Mori poll (and 67% of UK respondents) said carmakers aren’t doing enough to sell electric vehicles – such as offering choice, pricing and marketing spend. Meanwhile, only 11% said the targets should be limited to minimise the effects on the automotive and oil industries. “The clear message from this survey is that citizens expect their government to be far more ambitious about driving the shift to low and zero-emission vehicles than what the European Commission and the German government are proposing,” said Archer.